» Increased feed angle makes it the fastest operating tool on the market, ideal for high production environment. 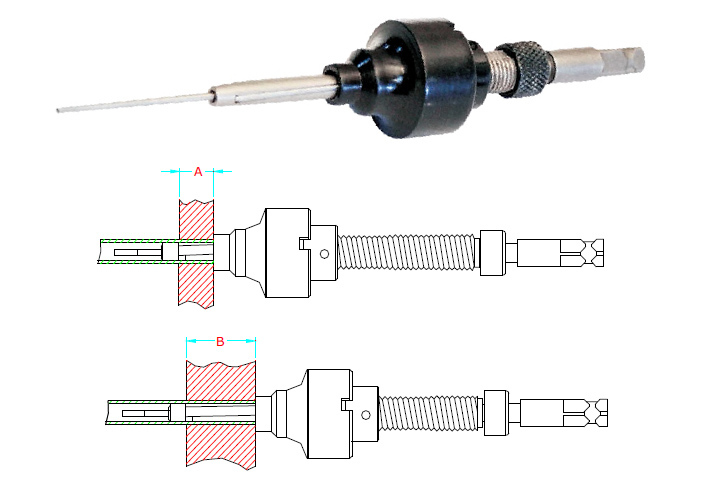 » Advantage: Captive mandrel - eliminates nut on mandrel tip which prevents scratching of tube I. D.
» Use : Oil coolers, Radiators, & other apparatus with small diameter tubes..
» Note : All ‘BAN’ series expanders come with 1/4” square mandrel drives. Round mandrel drives are optional.